Natta says: So great and I got it! Was it on hold? ~ Reply? Mitzi Sato-Wiuff replied to this: Yay! Thank you. Yes, I put a prompter's hold on this (1 hour). Natta says: There is something with the shipping. Can I mail you somewhere? Maybe on etsy? ~ Reply? Mitzi Sato-Wiuff replied to this: What do you mean by "something with the shipping"? Joanna Bromley says: Adore this! ! 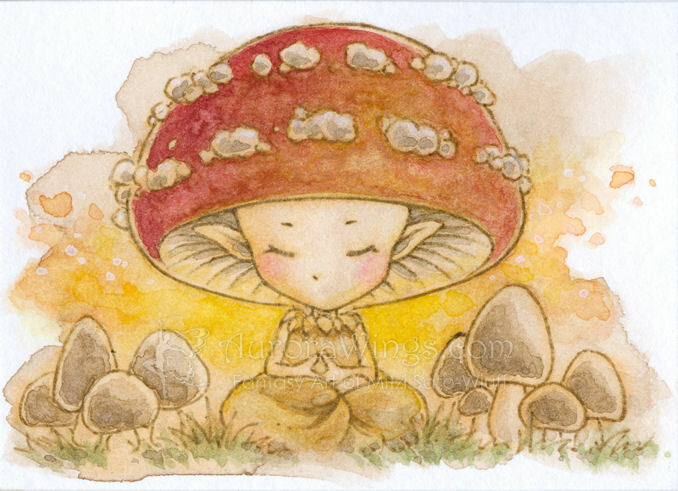 Live little shroom sprites or fairies! :-D xox:-)	~ Reply? Natta says: I mean that it would be great to have some kind of bill on the outside as the customs demand this . ~ Reply? Mitzi Sato-Wiuff replied to this: There will be a custom's declaration form on the USPS form that I'll be using on the outside of the package. 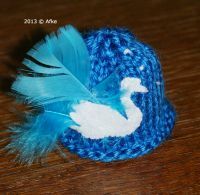 Mayumi Ogihara says: Hehe I knew you'd create something very adorable! ~ Reply? Mitzi Sato-Wiuff replied to this: Hehe, yep, this prompt had my name on it, didn't it? Jenny S. says: So adorable! ~ Reply?